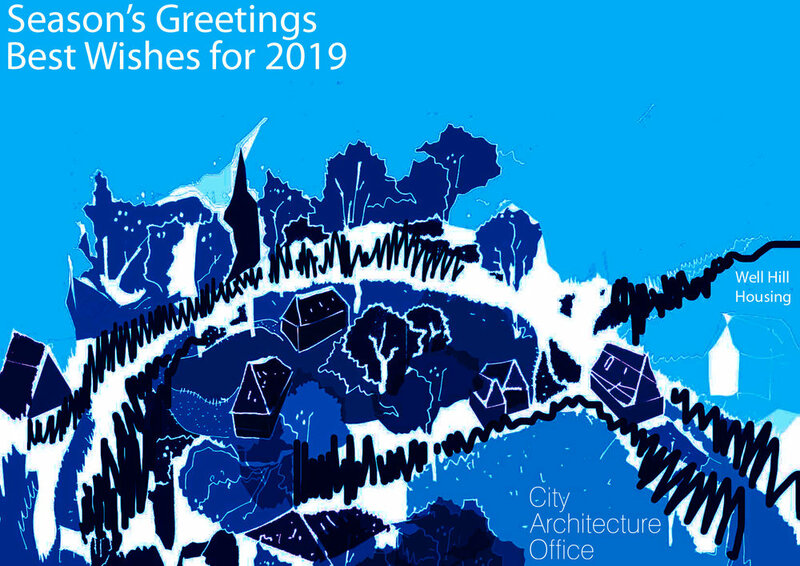 Season’s greetings to all our clients & collaborators & our very best wishes for 2019. One of the drawings we created earlier this year in support of proposed housing at a sensitive site within an Area of Outstanding Natural Beauty in Kent. Good design adds value well beyond the cost of professional fees and City Architecture Office delivers successful projects that aim to enhance the quality of our lives; whether at home, at work, or the public places in between.